Description From masked hunters to millipedes, there are many different pests that can invade your home and garden, including aphids, bed bugs, wasps, centipedes, crickets, earwigs, fleas, hornets, mosquitoes, silverfish, termites, ticks, wasps, weevils, and all kinds of other mites and bugs. There is a massive variety of pests in Canada, and just as large a variety of pest habitats. Aphids like to live on new plants, bed bugs like multi-unit buildings, while wasps prefer nesting in eaves and decking. Meanwhile, centipedes like dark basements, millipedes prefer piles of dead leaves, and termites seek out rotting wood. Many of these pests, like moths, bees, and mosquitoes begin life as eggs that hatch into larvae, before pupating inside a cocoon to emerge as fully-grown adults. However, others, like centipedes, millipedes, and silverfish, hatch from eggs as nymphs, miniature versions of adults, and simply moult their skin as they grow larger. Why do I have these pests? When any of these pests enter your home or business, they are usually seeking food, water, shelter, and perhaps even a safe spot to reproduce. Bat bugs are looking for bats and other animals, centipedes and millipedes feed on dead insects, moths are attracted to fabrics and grains. Meanwhile, pseudoscorpions prey on live insects and are usually found among dusty books full of mites. 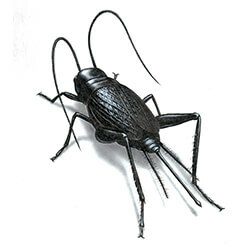 Silverfish are scavengers that will invade crevices and eat anything they can find. Springtails feed on algae and fungi in rotting vegetables, while weevils seek out stored food products like cereal grains as a place to lay their eggs. How worried should I be about these pests? All of these pests can impact your home or business to varying degrees. Aphids wreak more damage on cultivated plants than any other insect, while termites for example, can completely excavate through wooden floors, furniture, window frames, doors, panelling. Some of these pests can also endanger your health. Hornets will aggressively defend their nests, inflicting stings that can cause fatal anaphylactic shock. Stink bugs, when crushed underfoot or disturbed, emit a foul odour, which can trigger allergic reactions like rhinitis or conjunctivitis. Meanwhile, some mosquitoes can transmit plasmodium, a pathogen that causes malaria, West Nile virus, encephalitis viruses complex, and filarial heartworm in dogs. Some of these species are invisible to the untrained eye, so can be very difficult to track down and eradicate. And many reproduce very quickly, meaning an infestation can quickly get out of control. If you suspect an infestation, it's best to call a professional pest control service. How can I prevent these pests invading?